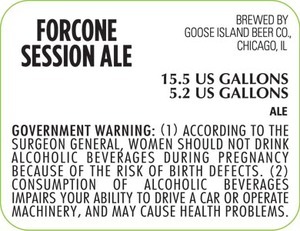 Goose Isand Beer Co. Forcone Session Ale is brewed by Goose Island Beer Company in Chicago, Illinois. This brew is served on tap. We first spotted this label on May 30, 2013.